We'll have to wait a while to see how its new bets pay off. 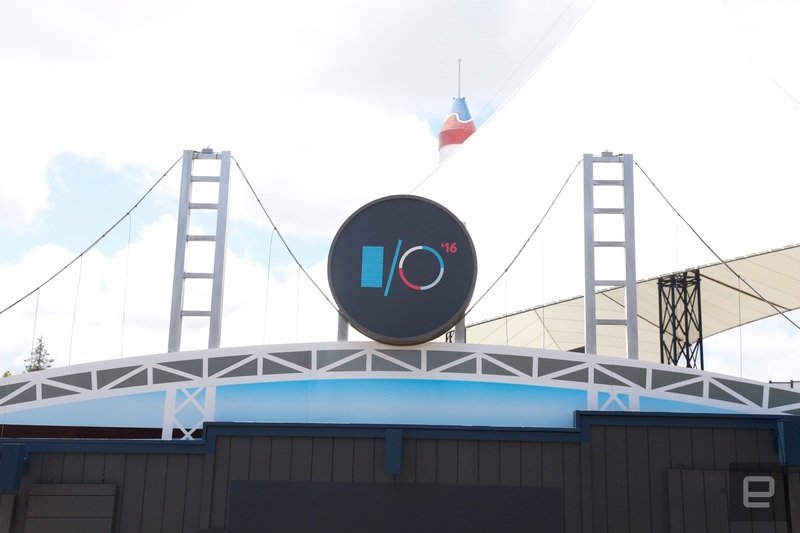 Google I/O, the company's massive annual developer event, has wrapped up for 2016. As usual, CEO Sundar Pichai and a host of the company's executives gave the world a look at what it's planning for the next year. Unfortunately, we'll need to wait to see how everything works in the real world, as nearly everything Google announced won't come to fruition for months. But that's not meant to minimize what Google announced this week -- indeed, many of the company's biggest and most important products will look a lot different six months from now. Easily the flashiest two announcements this week were Daydream and Google Home. The latter is Google's entry into a relatively new category, but it's powered by years of organizing knowledge across the internet as well as everything it learns about its users. That sounds creepier than it is in reality -- if you've opted into products like Gmail, Calendar and Google Now, Google Home will use all the info you've stored there to make it a better product. As cool and surprisingly useful as Amazon Echo can be, it's not hard to imagine that Google Home will trump it in a number of ways. Daydream, meanwhile, is the company's true VR ambitions revealed. Cardboard was how it got its feet wet; Daydream is how it'll really make an impact. By leveraging the combined forces of Google's hardware partners, the flexibility and power of Android and the company's army of developers, Google could be looking to mimic the strategy that made Android so successful in the first place. The news that Google is rethinking messaging apps yet again was met with less enthusiasm, but the most important part of the Allo isn't smart replies -- it's the integration with the Google Assistant. That's how Google is referring to the bot that lives inside the app, letting you ask questions with natural language. That same assistant is what'll make Google Home work, and it's highly likely we'll be seeing the company refer to the Google Assistant much more as the year goes on. Other announcements that were more subtle but no less important to Google's overall strategy include Instant Apps and the plan to bring Android apps to Chrome OS. By the end of the year, Chrome OS's perpetual app problem could be solved -- and the platform has already been growing significantly without this huge new feature. And Instant Apps is a profound example of changing how we currently use smartphones. Not having to download and install apps you use infrequently could help keep our phones clutter-free. Other Android news included a quite stable beta of Android N; in my limited testing, it's definitely worth checking out. Android Wear itself saw a more profound redesign. While I'm not sure that we need a keyboard on our smart watches, it's good to see Google homing in on what users do most to make the experience better. And, of course, Weird Google was on display, most notably in the ATAP presentation that saw the company announce a smart jean jacket designed with Levi's for bikers, a smartwatch that you can control with radar-powered finger gestures, and a launch date for the long-awaited Project Ara modular smartphone. Add it all up, and this I/O felt like a fairly transformative show, even though there wasn't a lot of stuff to could go try out immediately. I was hoping to get some time with Daydream or see how Allo or Google Home works, but we'll have to wait on that for now. By the end of the year, though, the way Google and its users interact with each other will look a lot different.